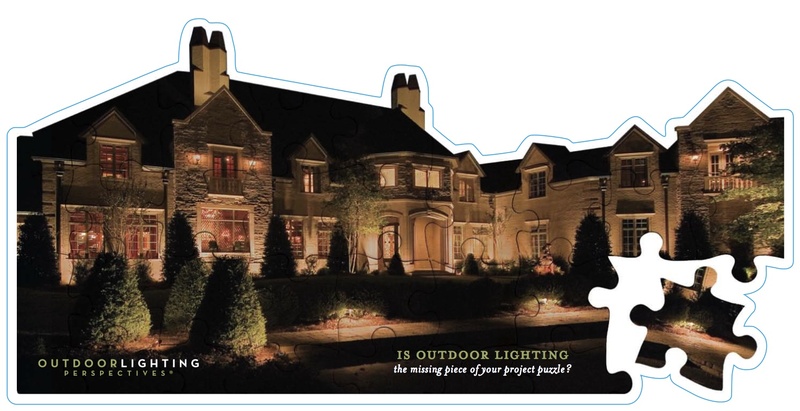 Even the most experienced outdoor lighting designer will normally illuminate the subject matter directly. We generally uplight houses, illuminate trees and landscaping, spot light architectural features, and directly illuminate sidewalks and steps. On some rare occasions, we are challenged to step out of the box and provide a more creative outdoor lighting design. The pool shown in this photograph is a prime example. 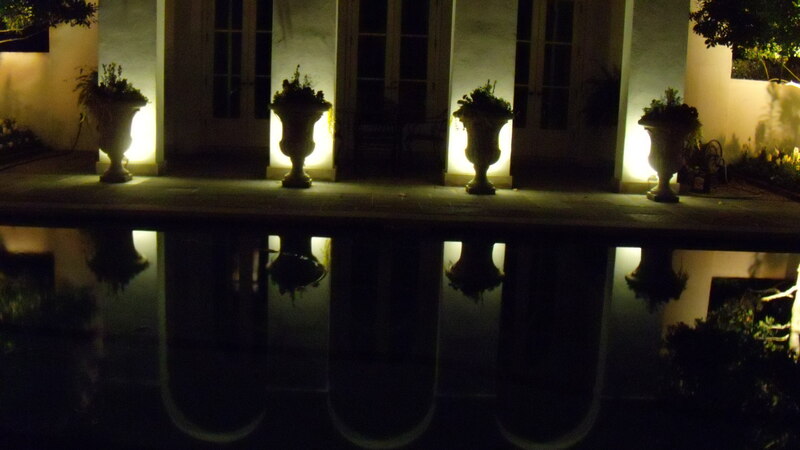 The customer had some large planters positioned directly in front of the pool house columns. The design begged for a soft wash of up light on the pool house. Unfortunately (or perhaps more fortunately), there was no practical way to illuminate the planters from the sitting area on the opposite side of the pool. This was obviously the perfect scenario to utilize silhouette lighting. We installed small LED box floods to wash the wall. They were placed directly behind the planters, thus creating the silhouetted look. The contrast was very pronounced, and created a very unique night-time mood.